That was then; this is now. As Ann Powers has written, youthful pop has veered toward more disquieted territory in recent years. To hear the once-ubiquitous motto “YOLO” chanted as if by an Auto-Tuned monastic choir in “Generation Why” — a new song by Weyes Blood, the performing moniker of twentysomething singer, songwriter and producer Natalie Mering — is a jarring experience, and deliberately so. Elongating her phrasing, she contemplates the four-letter acronym like it’s an alien artifact unearthed from another time. 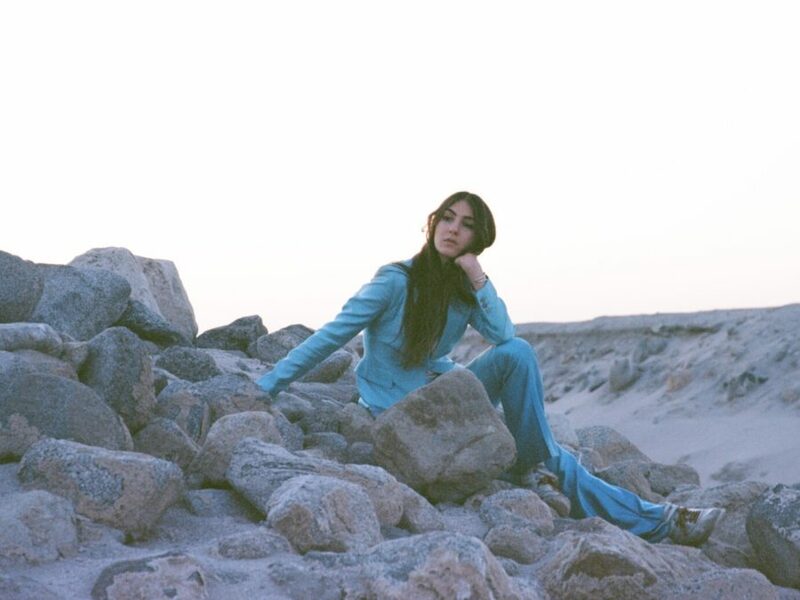 Then she intones over arpeggiated fingerpicking, “It’s not the past that scares me / Now what a great future this is gonna be.” That song appears midway through Weyes Blood’s Front Row Seat To Earth and reflects the album’s carefully calibrated mood of dystopian serenity. On Front Row Seat To Earth and its predecessor, 2014’s The Innocents, vocal poise is one of Mering’s greatest expressive tools. She embraces composure as a response to her generation’s uneasiness with the ruination of the planet and fading promises of stability and prosperity. Rather than treating gentleness and grace as liabilities, she refracts her kinship with the voices of ’60s folksingers like Joan Baez and Mary Travers, ’70s soft rockers like Karen Carpenter, and Celtic new-age stylists like Enya — particularly their dulcet timbres, cursive phrasing and willowy vibratos — through her own vision. Mering and her co-producer Chris Cohen frame Weyes Blood’s performances in ebbing-and-flowing chamber-folk, set off by psychedelic detours and surreal manipulations of captured sound. “Be Free” opens with the ecstatic shrieks of children on a playground, an elegantly reedy melody and balmy guitar strums. Her lilting delivery is emotionally insulated. “It’s just the two of us, and I want you to be free,” she sings. “Don’t worry about me — I got my thing.” Before it’s over, she’s vamping over a jaunty horn line. A breathy a cappella duet introduces “Away Above,” which opens as a wispy bossa-nova feel is threaded with pearlescent electronic textures. She murmurs an invitation to precarious companionship: “Won’t you come meet me at 9? / I’ll bring your worst fears if you bring mine.” Likewise, “Do You Need My Love,” “Used To Be” and “Diary” reexamine intimacy and idealism in ways that showcase Mering’s gift for measuring and mediating heady emotions. For her, that’s where the power is.